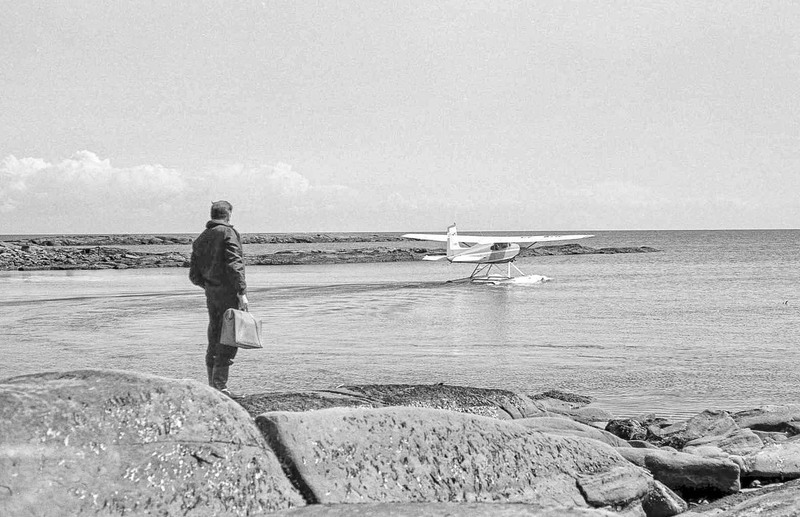 Dad watching our plane leaving Oyster Bay. This may be our first time over because he has my briefcase which would have had our maps and stuff in it. After the first trip or two we didn’t carry maps and so on because we had found the pins. 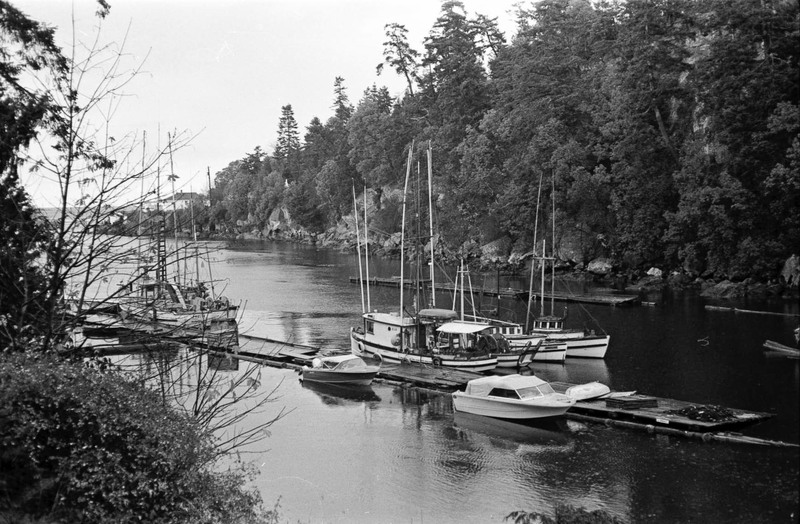 At the north end of Galiano Island there was a bay on the Indian Reserve that had a fishing float, general store and gas dock. This is where the small aluminum boat and 10 hp motor was kept that we used later. This was just at the tail end of the days of big fishing in the gulf. 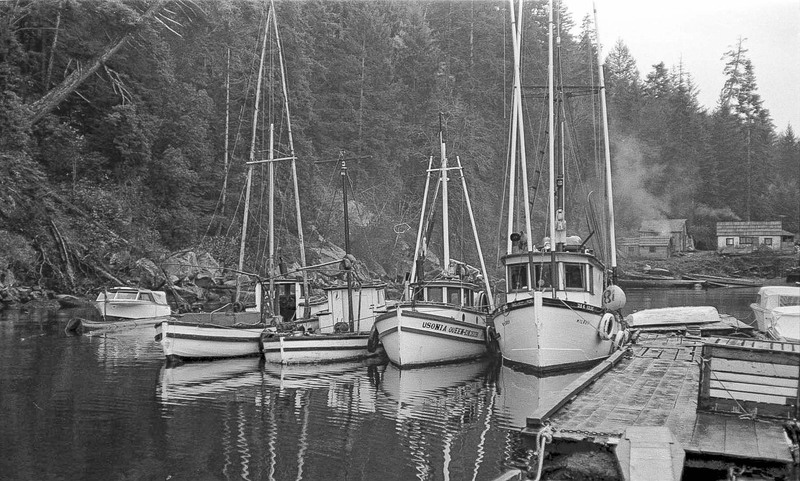 By 1970 this place was gone because the fishing fleets all disappeared. 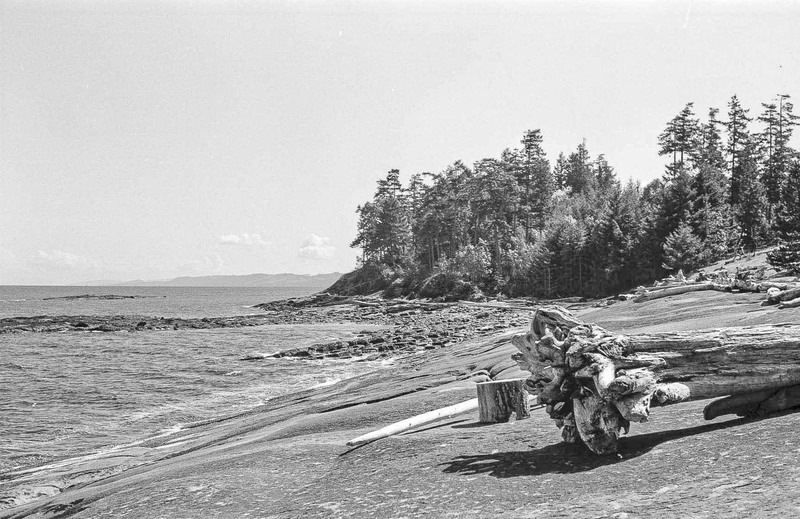 The fishing float and store at the north end of Galiano right in Porlier Pass. 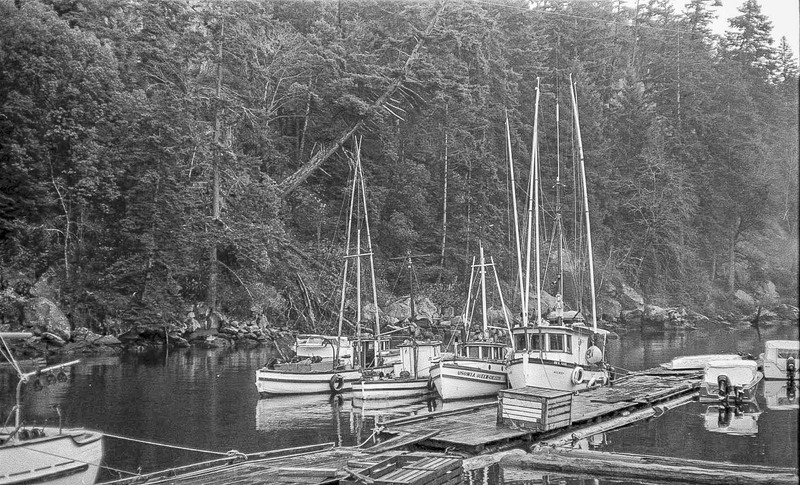 The fish dock from the trail leading down to the store and dock. I much prefer the Valdes I remember to the one now. With all the development the magic is gone. It was a beautiful place, quiet, isolated, peaceful. It was so much my childhood! 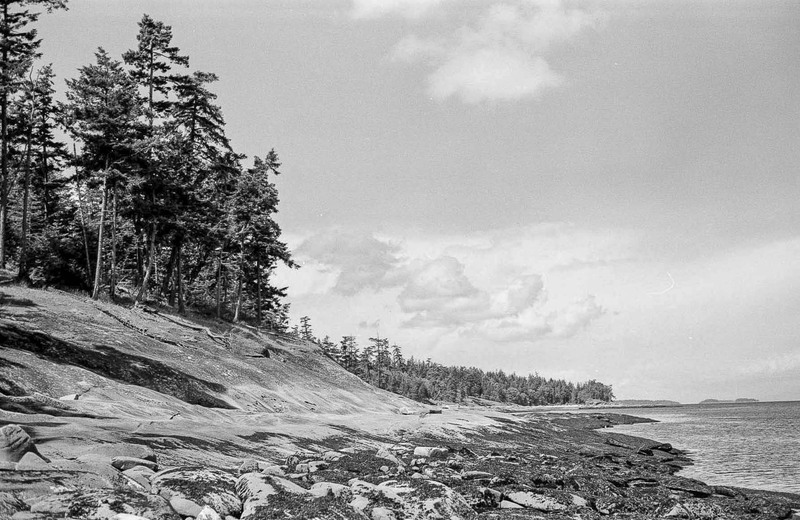 It was harder getting to the Island, but when you were there you seemed to be in the wilderness. 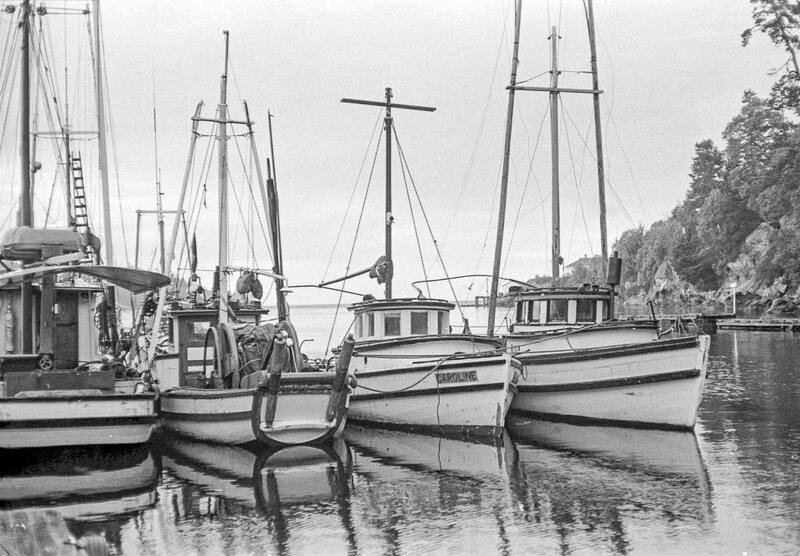 We used the aluminum boat several times out of this bay and we bought supplies at the store on the dock, although it was not very well stocked. Dad and I went over several times by chartered plane as well. This was before GHLU. 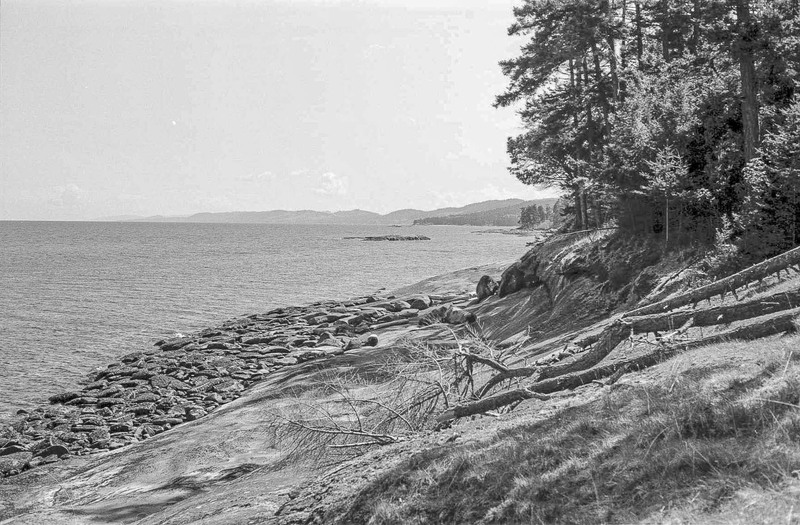 This photo was taken in 1970 from the front of our property looking north along the shore towards Detweiller Point. On the shore looking south towards our property. The meadow goes up to the right against the trees and our property is on the bluff in the center of the photo. Taken the same day as the picture on the right, we are looking south from the front of our property. Looking south towards our property from the bay on the south side of Detweiller Point. This is the front of the property before we built anything. It is rugged and has no beach but that has meant that we have little traffic either. All in all, it was a good choice of location. 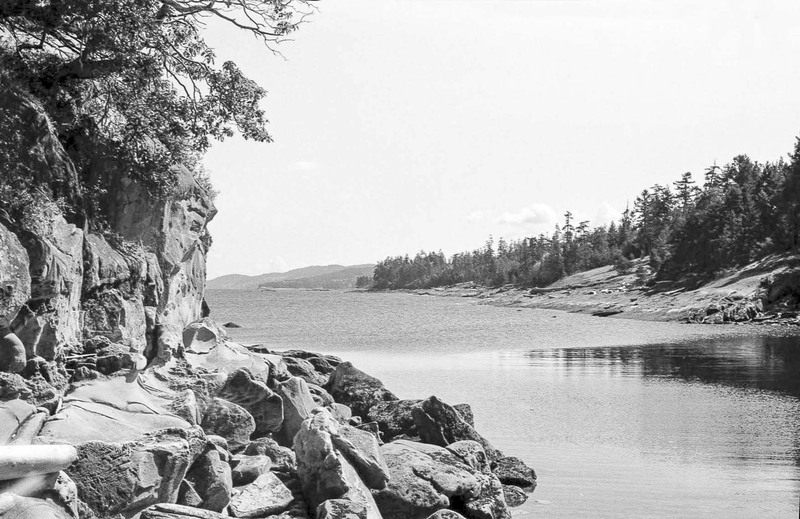 Our first few trips to the island were simply exploring. The salal was so much thicker that you had trouble walking anywhere off the shore. The shore was the only way we had to move any distance and it was not easy. Dad cut the first trail into Oyster Bay but that ran half way along the shore and then cut into the bush and ran roughly parallel to the shore several yards in. Then it came out of the bush for about 30 yards before plunging back into the bush. It was still difficult. He cut the interior trail later when he was building the cabin. That was the trail that went from behind the cabin and came out in the meadow at the head of Oyster Bay. That we use to this day. 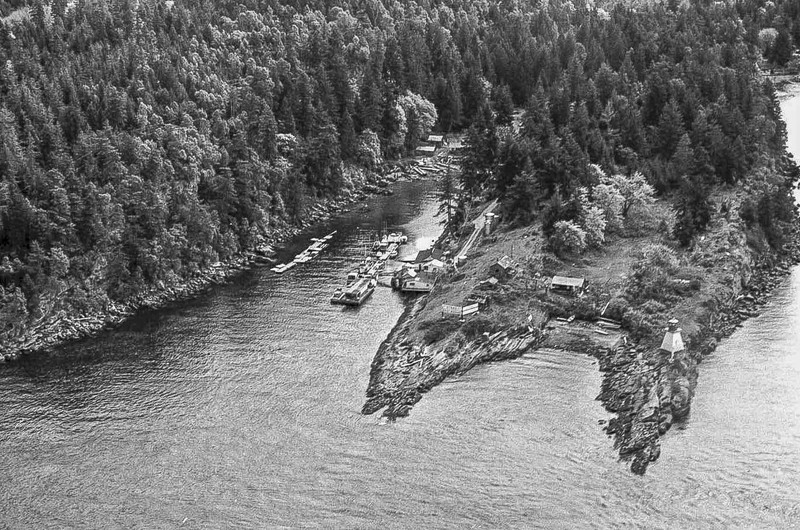 Our meadow in 1970 before any cabins were built. 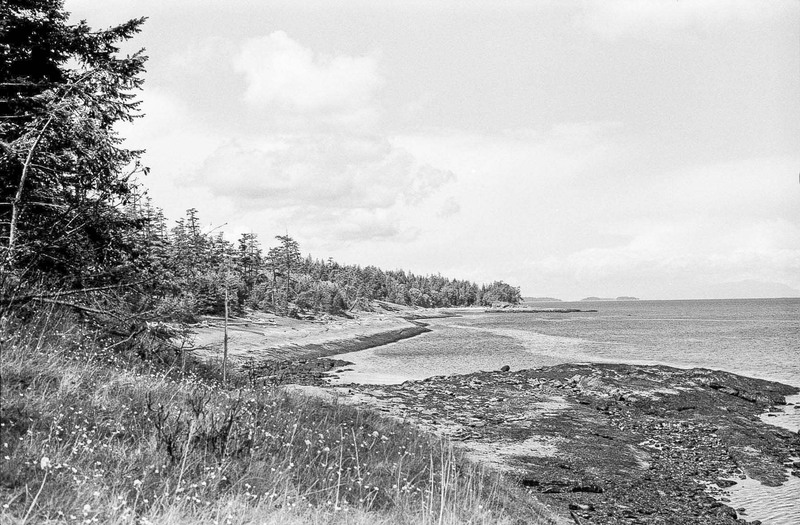 This picture is taken from the location of the Johnson’s cottage. Our cabin was built at the extreme right of the picture.